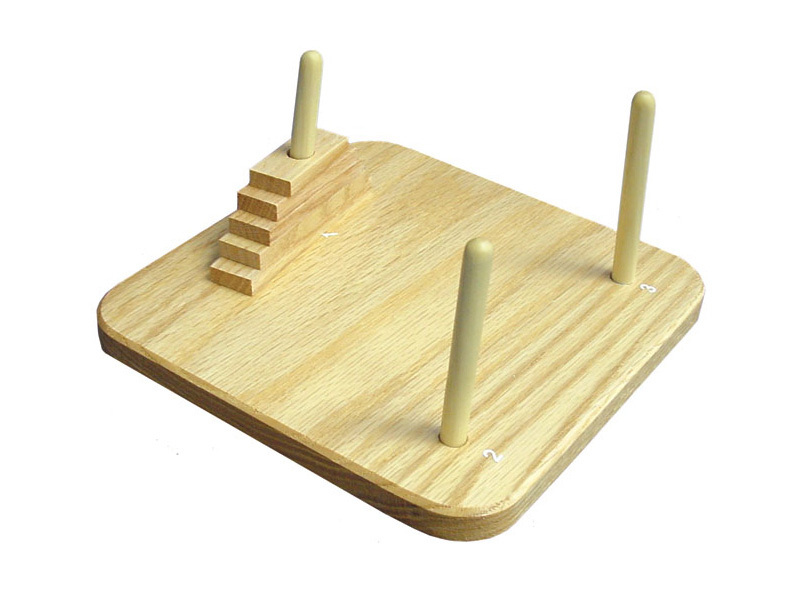 Our pyramid puzzle has been adapted from the well-known Tower of Hanoi puzzle. Individual is required to move the stack of graduated blocks from one pole to another, by moving them only one at a time and without ever placing a larger block atop a smaller block. This is a useful tool for demonstrating problem solving, insight learning, and concept formation.